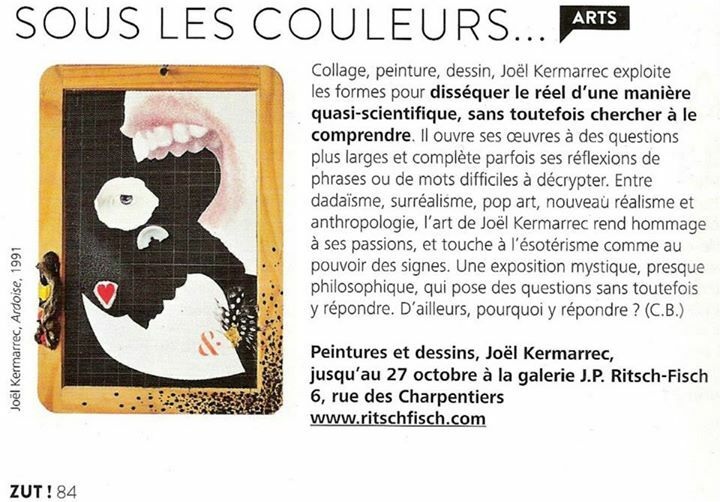 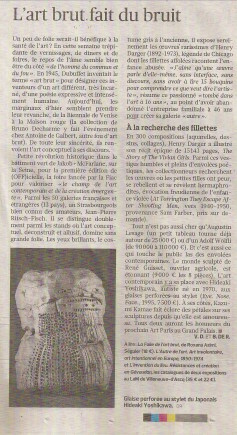 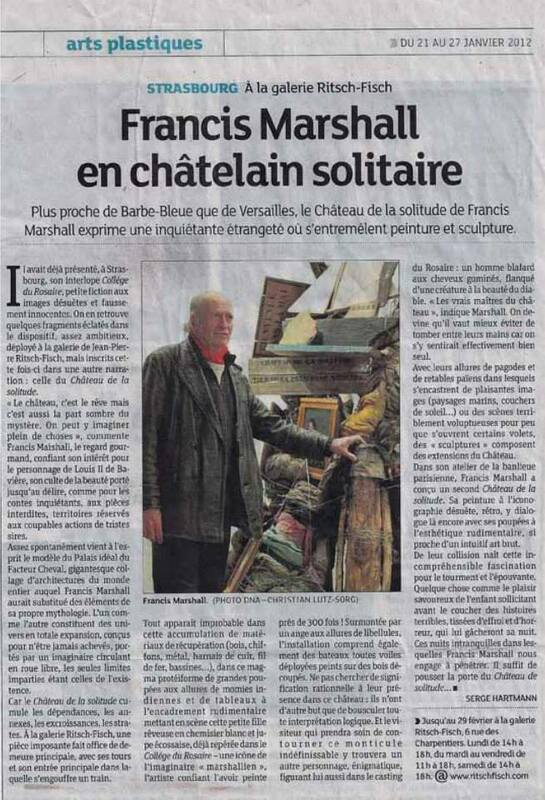 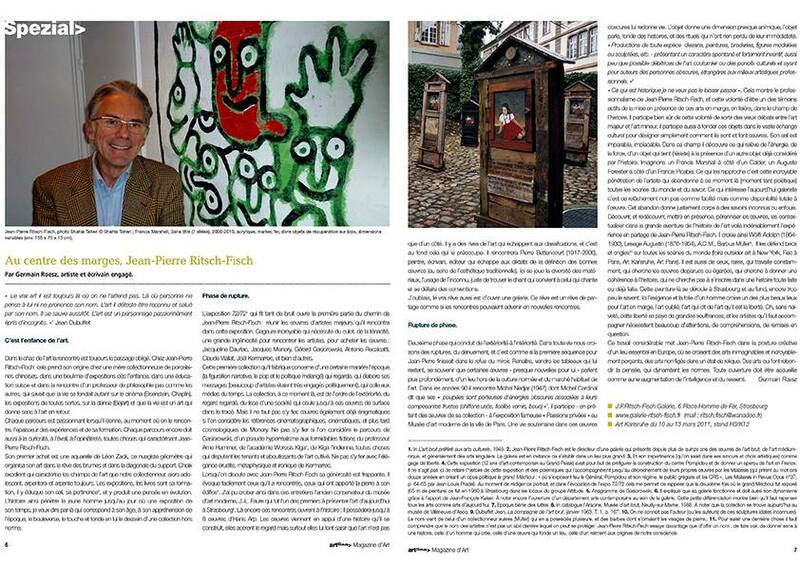 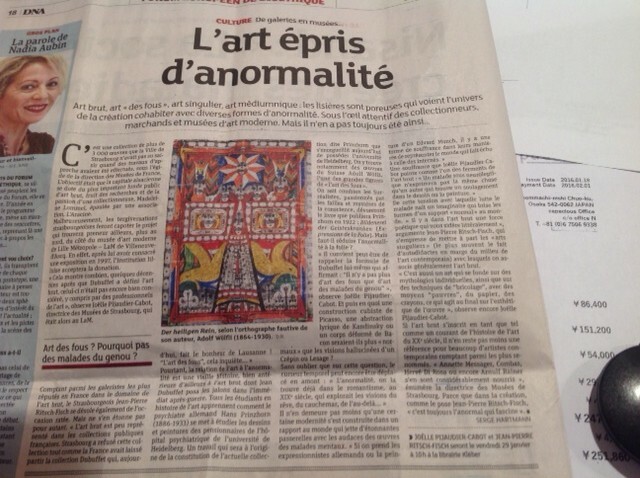 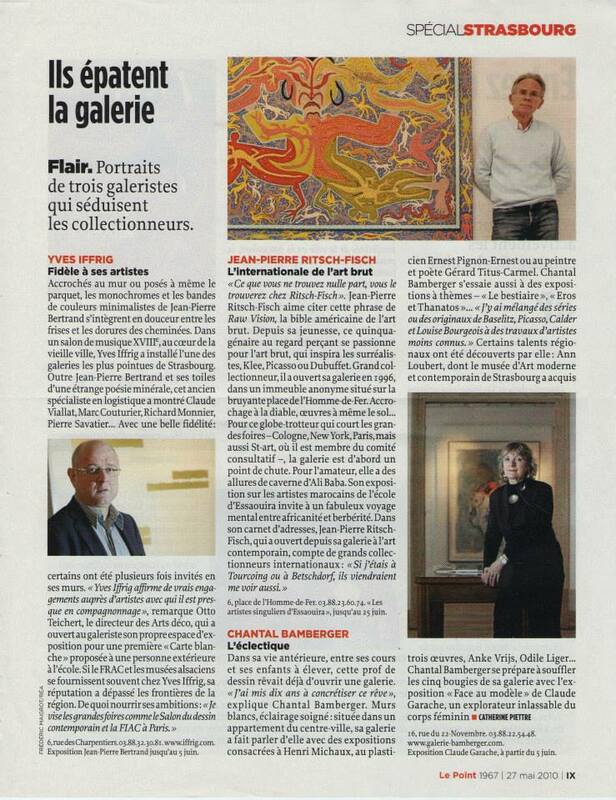 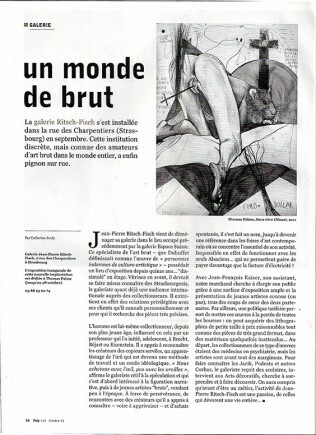 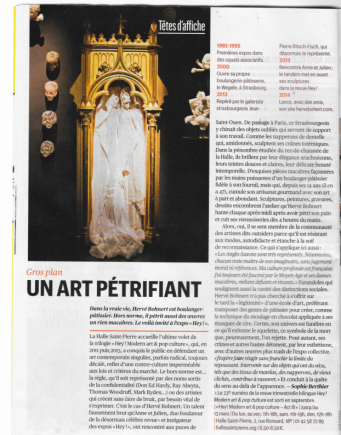 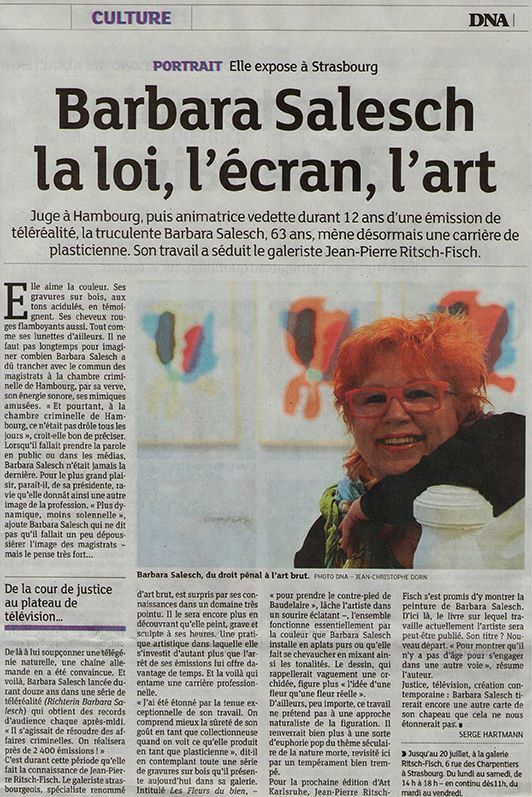 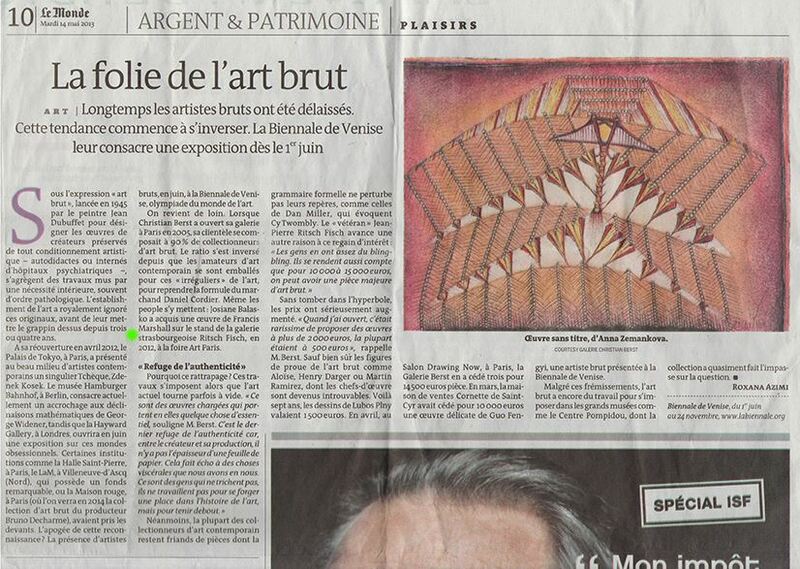 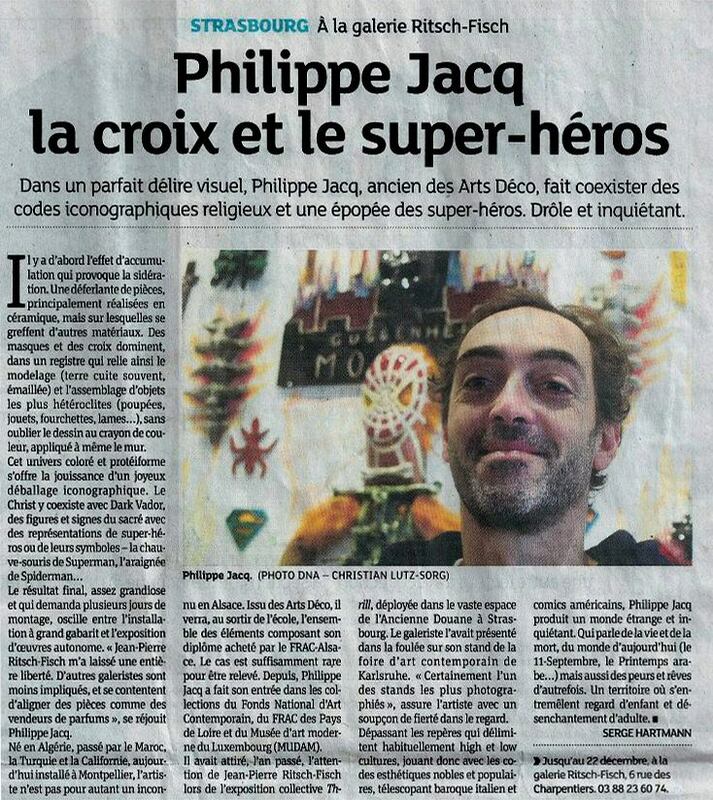 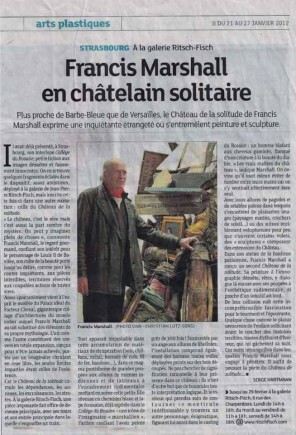 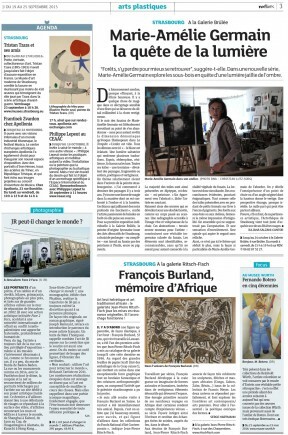 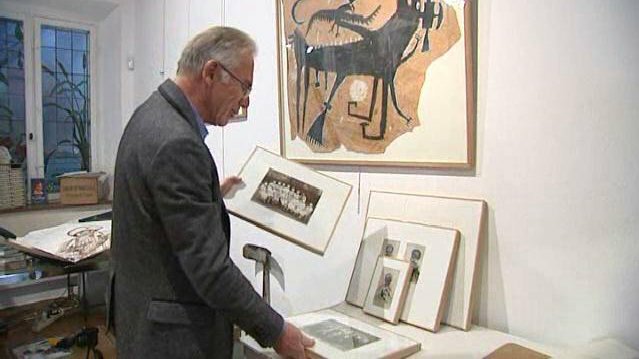 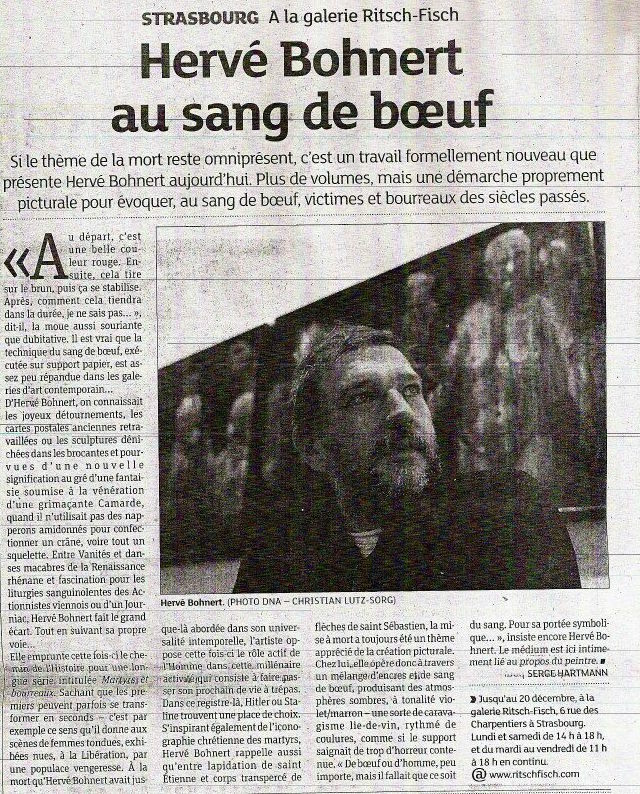 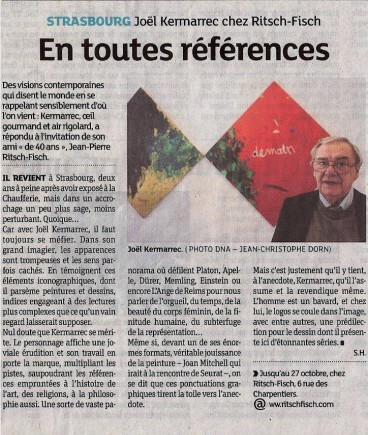 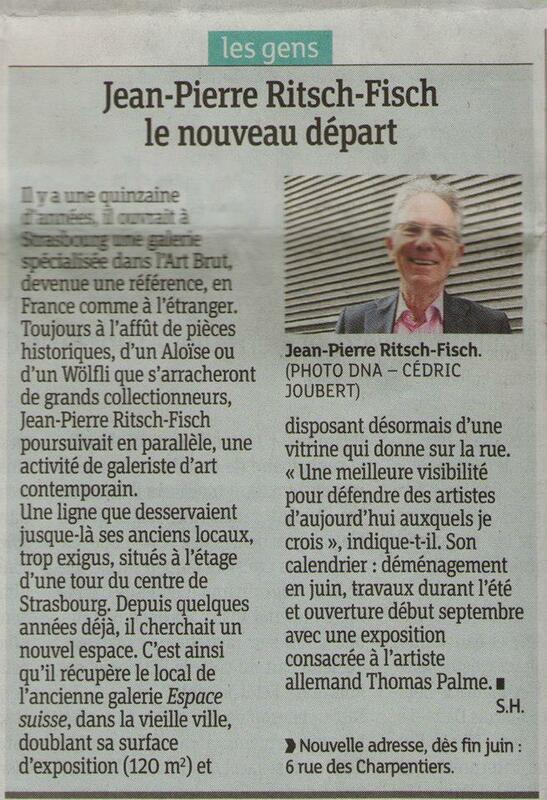 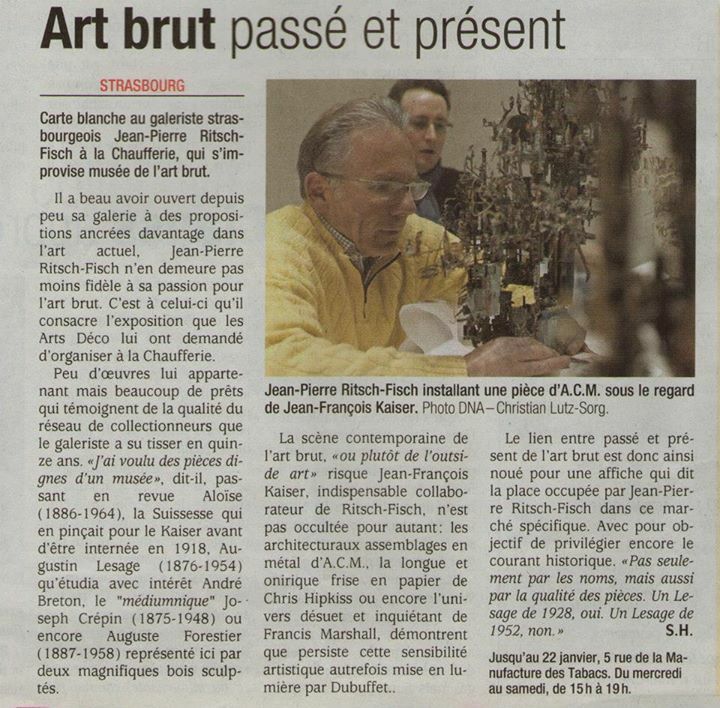 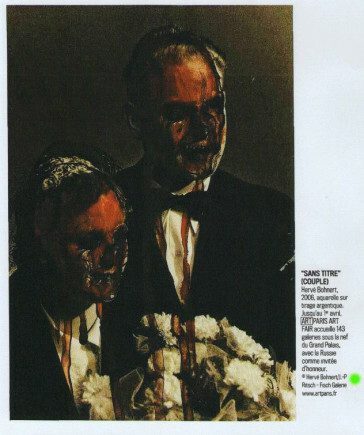 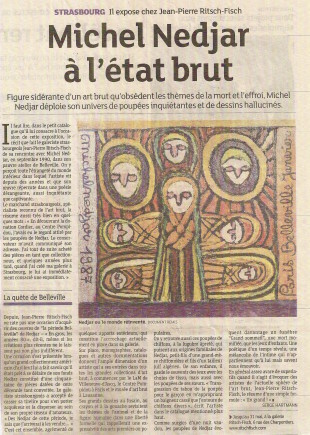 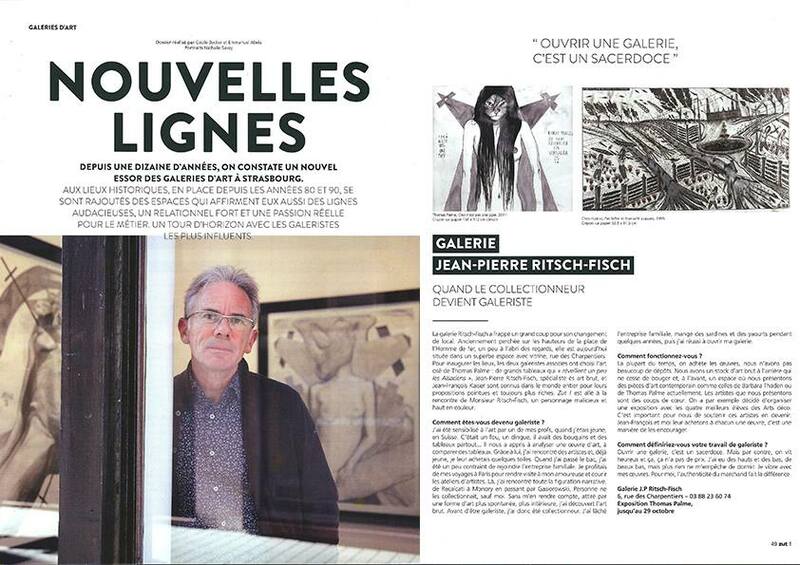 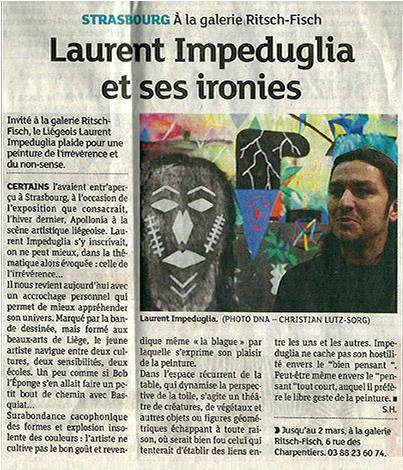 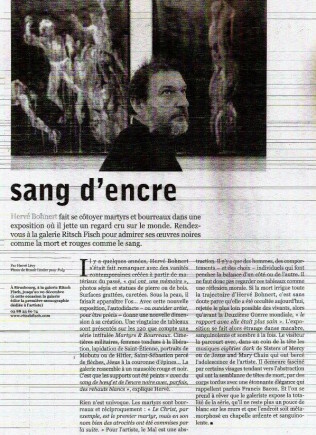 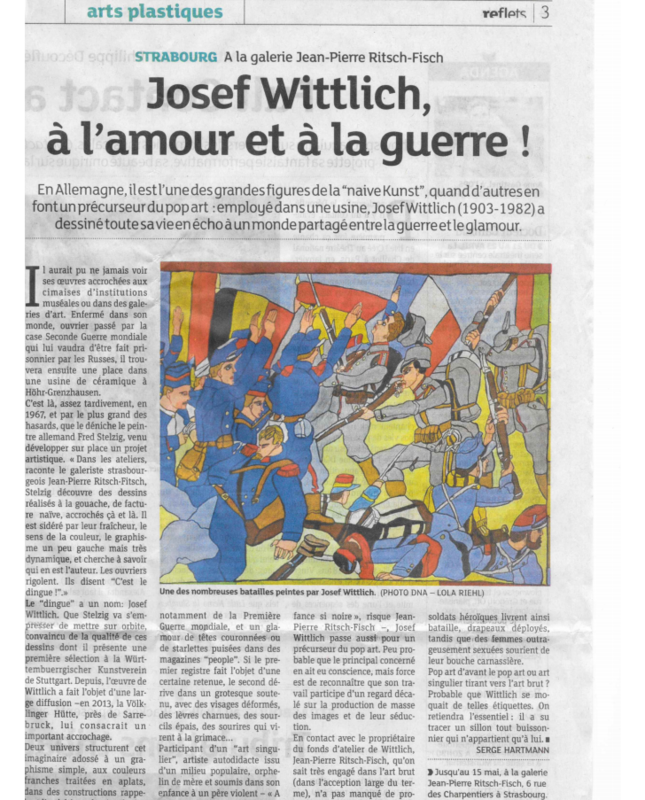 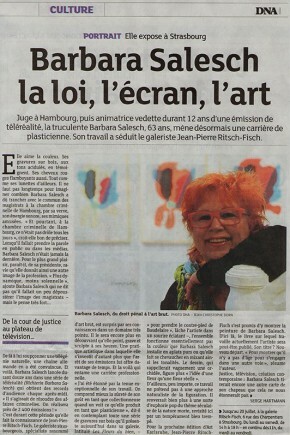 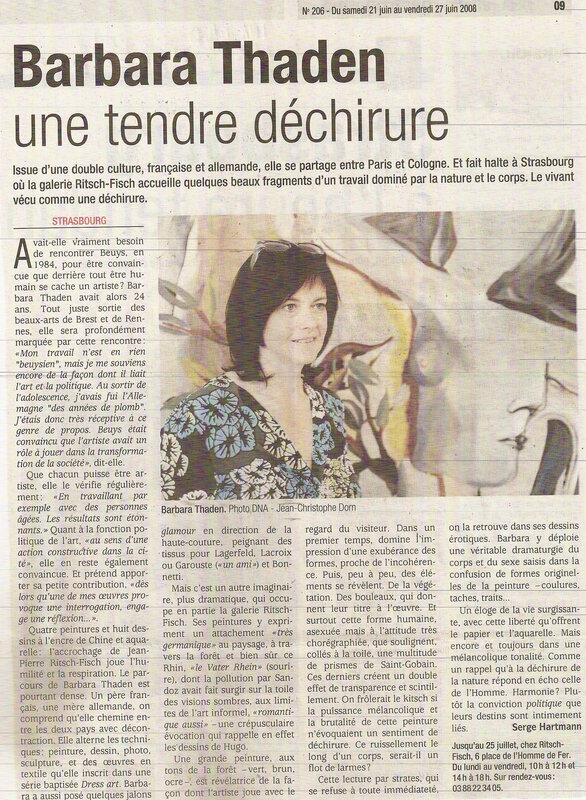 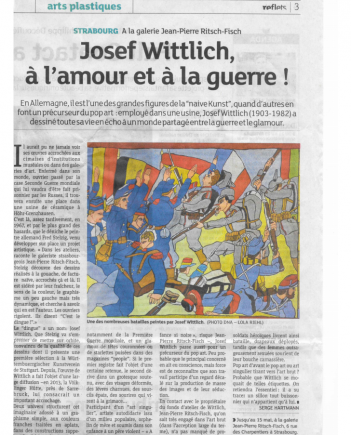 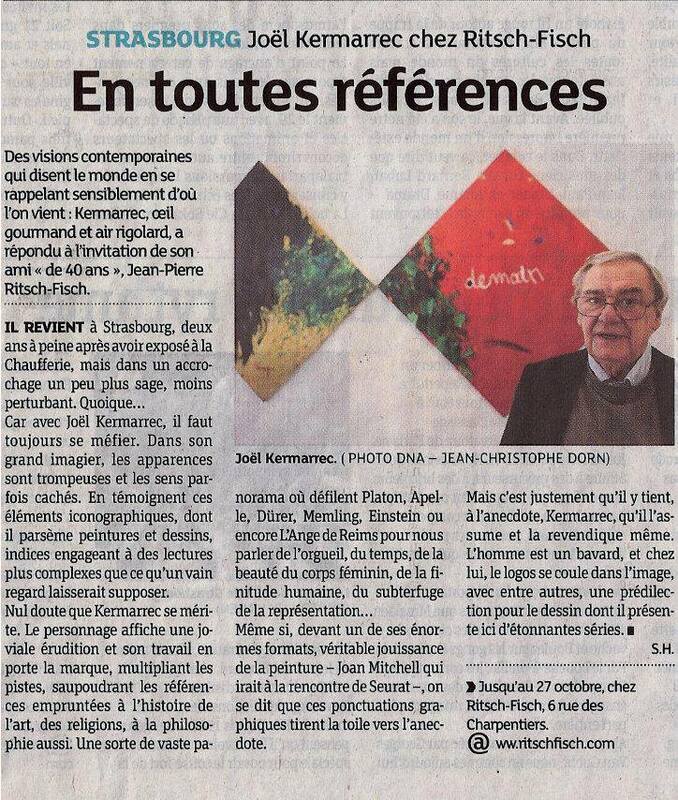 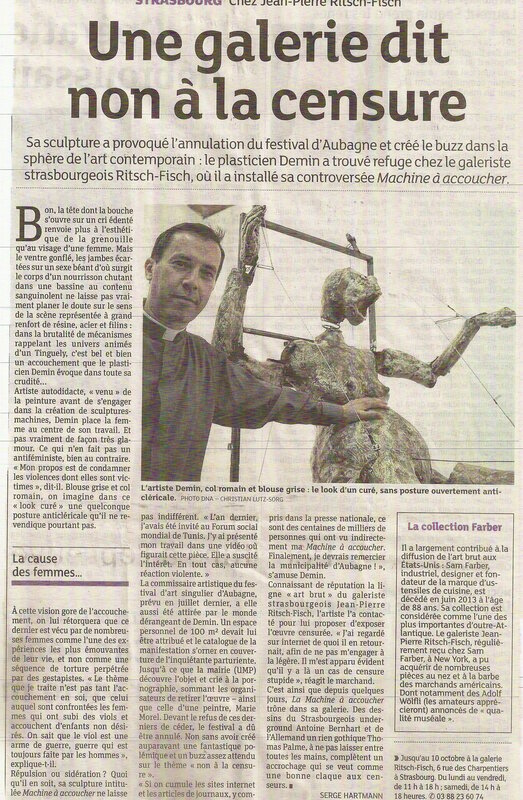 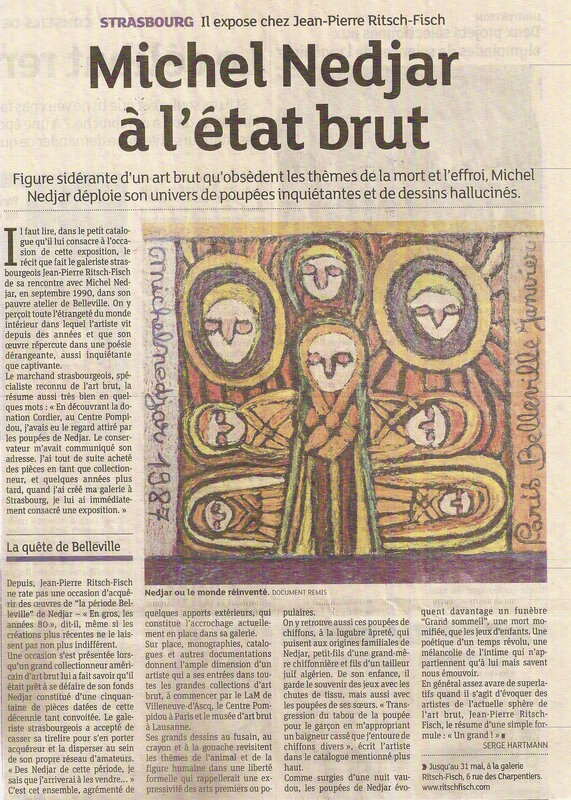 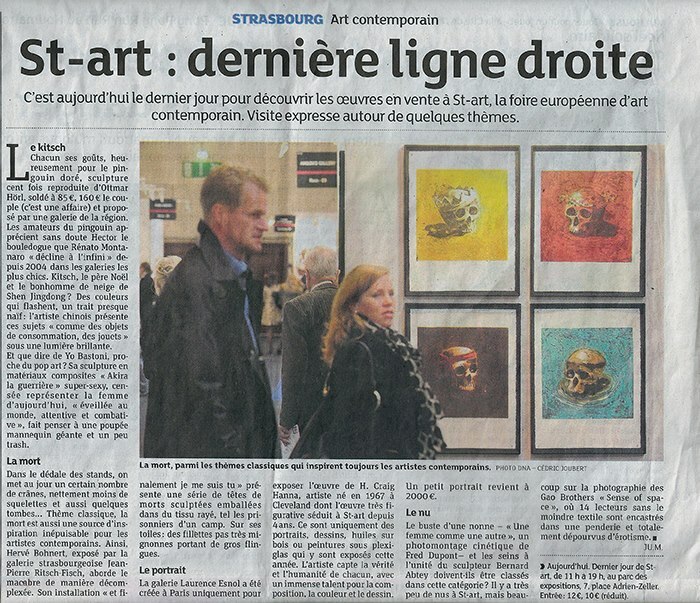 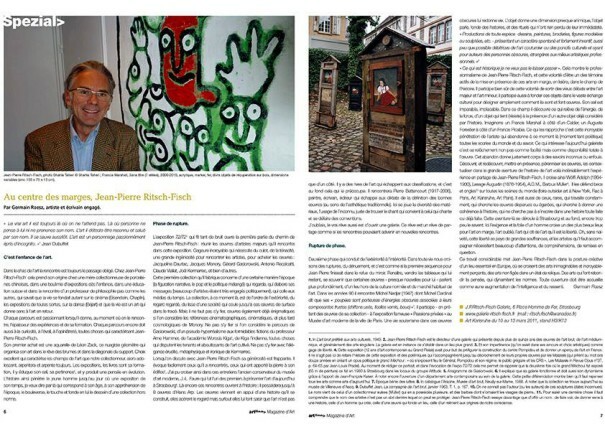 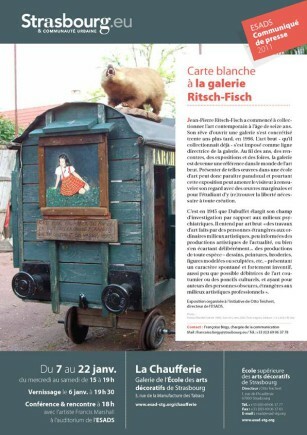 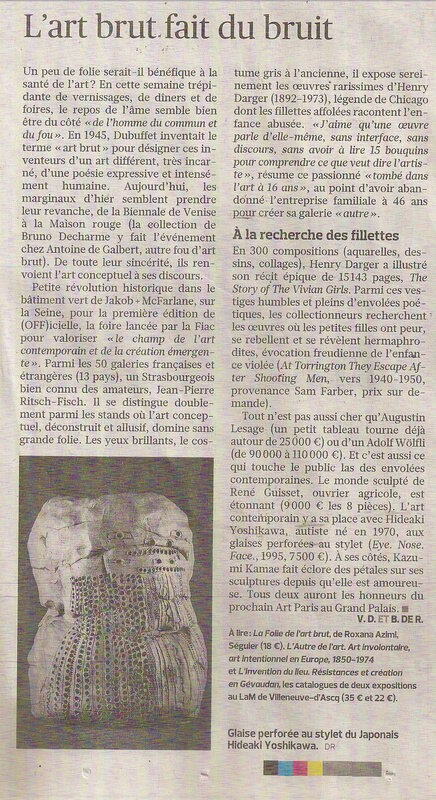 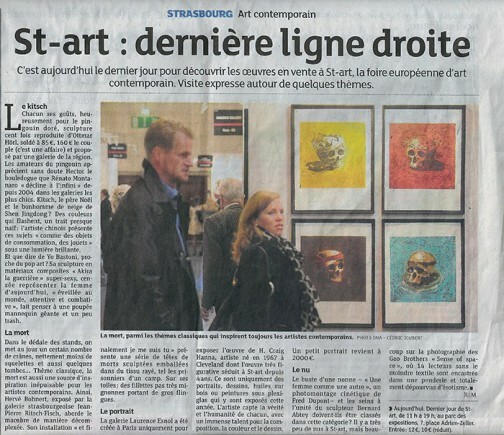 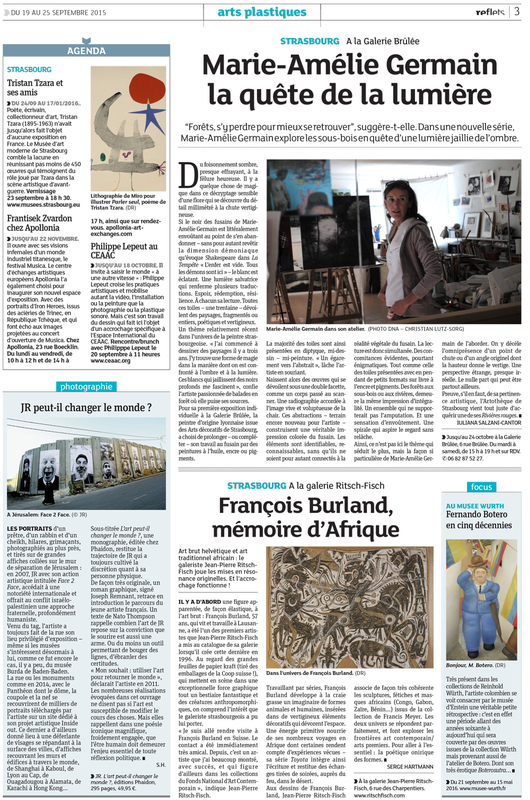 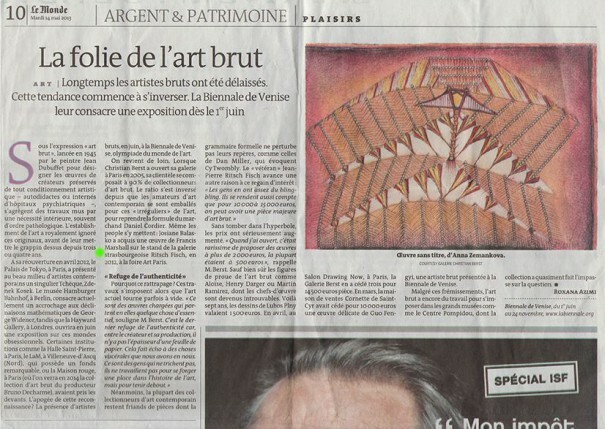 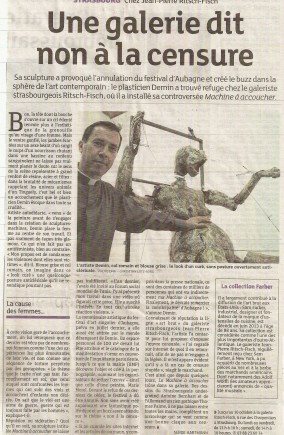 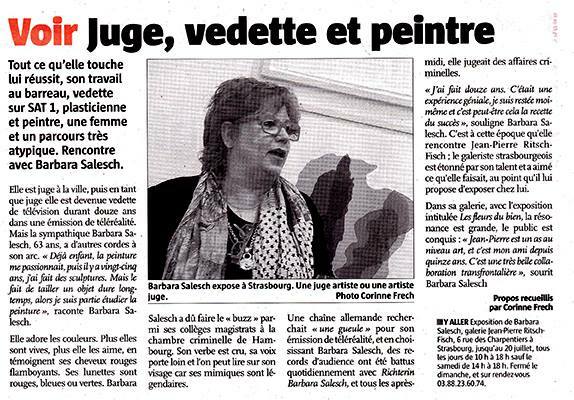 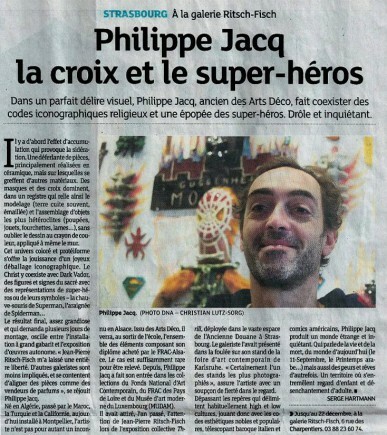 The J.-P. Ritsch-Fisch Gallery benefits for its exhibitions of a good media coverage and newspaper article. 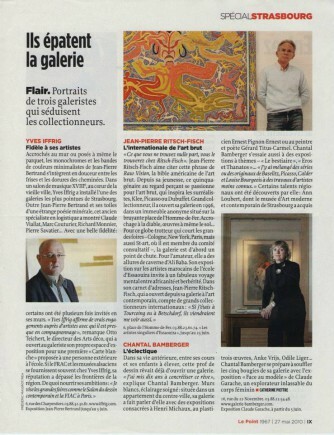 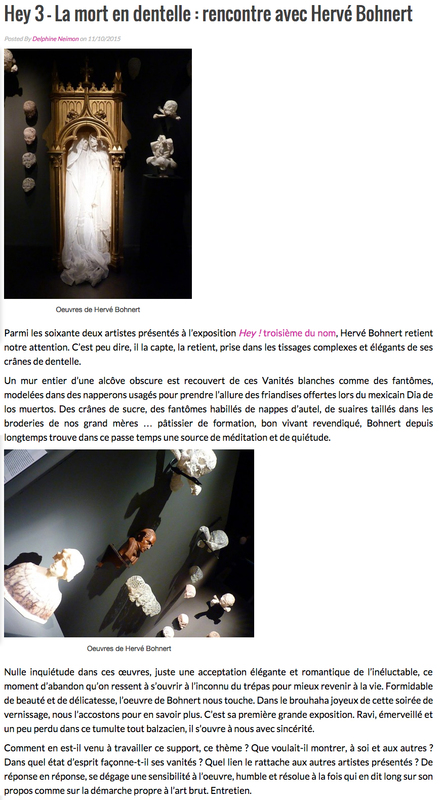 Find regularly the main part of the publications of the Gallery on this page. 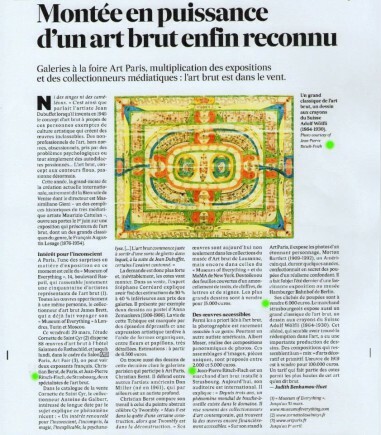 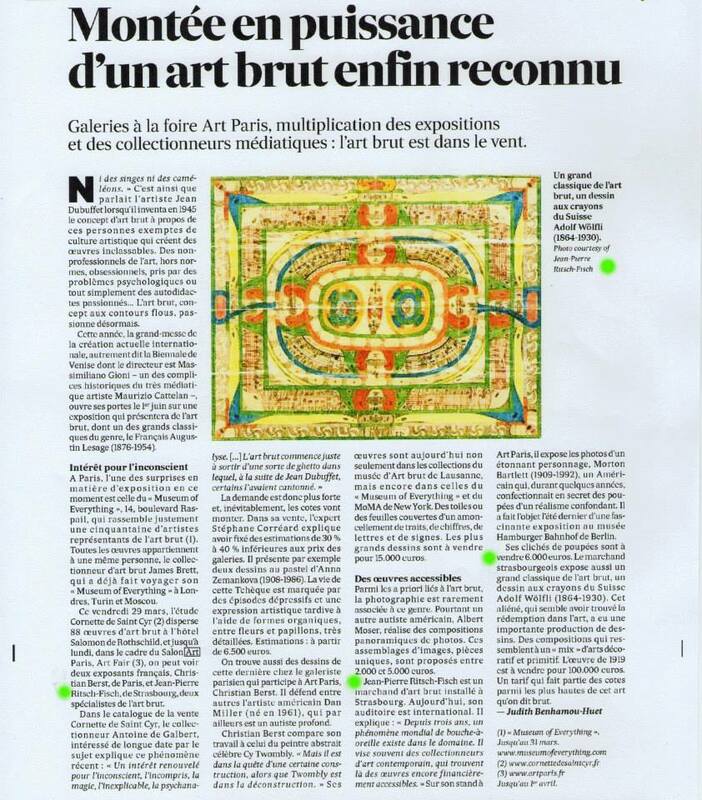 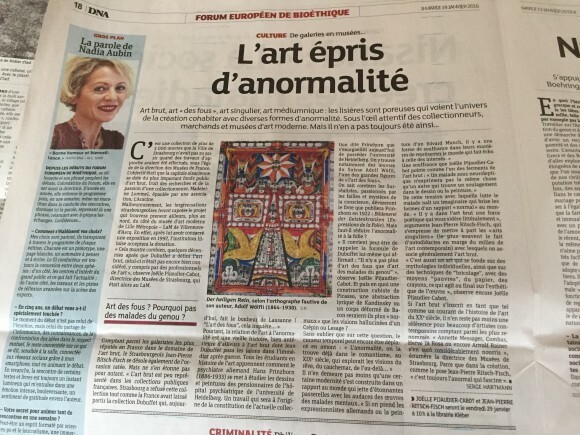 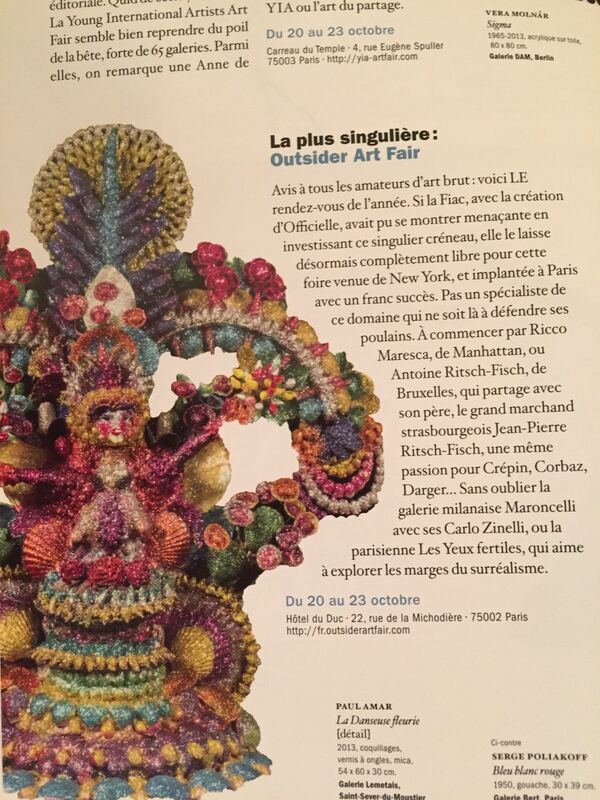 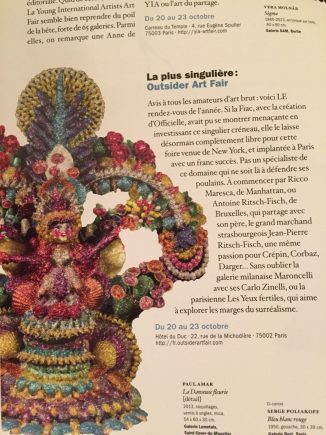 Art contemporain: que peut-on voir gratuitement pendant la Fiac ?